Mango is also known as The King of the Fruits. It has a wonderful sweet taste and pleasant flavor. Plus, as it contains a variety of phytochemicals and nutrients, mango benefits health in numerous ways. Apart from the fruit, mango bark, leaves, flowers, root as well as kernel can be used for therapeutic purposes. Furthermore, this delicious fruit symbolizes love and fertility in certain cultures. Scientific Name: Mangifera indica L.
This fruit is native to Southern Asia. It is the national fruit of India, Pakistan and Philippines. Mango belongs to the Anacardiaceae family. Mango has astringent, anti-bacterial, anti-viral, anti-inflammatory, anti-syphyllic, anti-parasitic, diaphoretic, vermifuge, hypotensive, cardiotonic, slightly laxative and diuretic properties. It stimulates appetite as well. Moreover, scientific researches have shown that mango benefits in protecting against cancer (especially colon and cervical cancers) and leukemia. Studies are being conducted to show that mango can aid in reducing body fat. In addition, mango helps normalize insulin levels in the blood. Thus, it can be valuable in controlling blood sugar. It is also useful in reducing cholesterol (LDL). Combination of mango and milk relieves acidity. Regularly consuming mango followed by milk facilitates in gaining weight naturally. You can have mango milkshake, too. Another benefit of mango (green mango) is that it reduces excessive body heat. Besides, this fruit serves a wonderful home remedy for healing skin problems because it contains retinol. It stimulates the production of elastin and collagen, thereby aiding in self-repair of the skin. Furthermore, mango stem bark extracts can be used in the natural treatment of herpes. These aqueous extracts help relieve arthritis pain as well. Watch this video giving information on mango health benefits. The pulp when used in face masks can assist in improving your complexion and clearing blemishes. In addition, mango rejuvenates the nerve tissues in the muscles, heart, and other parts of the body. Other therapeutic benefits of mango include curing constipation, relieving digestive disorders, exterminating intestinal worms, reducing fever, treating anemia, healing menstrual problems, and eliminating toxins from the body. In terms of nutrition, mango is rich in vitamin A, vitamin B6, vitamin B9, vitamin C, vitamin E, vitamin K, potassium, phosphorus, iron, calcium, fiber, and antioxidants. It contains phytochemicals such as Cryptoxanthin, Gallic Acid, Anacardic Acid and Lutein. Being rich in vitamin A, it promotes good eyesight. Besides, mango boosts sexual vigor as well. • Drinking mango leaf tea helps lower blood pressure. Moreover, using this infusion as a mouthwash relieves toothache and reduces gum inflammation. To prepare this tea, boil a handful of mango leaves in water for about 15-20 minutes. Take this mango home remedy two to three times in a day for approximately three weeks. • Toothache and gum problems can also be cured by rinsing your mouth with in infusion of two tablespoons of mango flowers and buds boiled in two cups of water. • Regular consumption of mango juice improves immunity and reduces the chances of contracting cold and flu. • Having yogurt mixed with mango juice and ginger is beneficial in curing diarrhea. • To derive health benefits of mango for indigestion and diarrhea, you can consume a combination of one teaspoon each of dried mango flowers and honey. 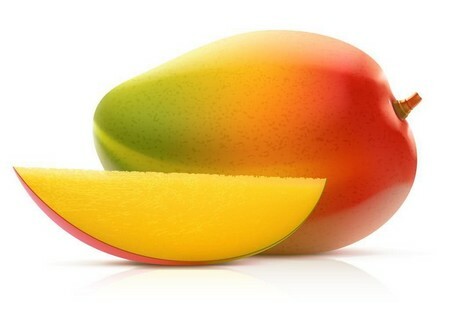 • Eating a ripe mango after having meals is useful in relieving constipation. • Drinking a cup of whey mixed with half a teaspoon of powdered mango kernel cab help in healing bleeding piles. This natural cure also removes intestinal worms. • Mango home remedy for diabetes involves the use of crushed mango leaf buds and Indian lilac (neem) leaves. Follow this therapy by having one teaspoon of this combination regularly. • Putting a few drops of juice extracted from a tender mango kernel in the nostrils can stop nosebleeds. • When dealing with prickly heat and heat exhaustion, prepare a solution using green mangoes. For this, boil two green mangoes in two cups of water. Let the solution cool. Next, squeeze out the pulp of these cooked mangoes and add sugar, salt and black salt in it. Finally, drink this mixture. • Using a teaspoon of juice extracted from mango leaves as ear drops can help relieve earache. Heat the juice slightly before using it. 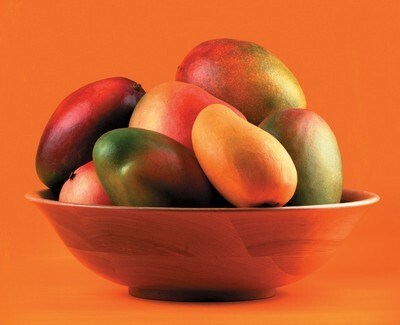 • Mango benefits in the natural treatment of enlarged spleen. For this, you can eat a cup of ripe mango pulp mixed with a teaspoon of honey three times in a day. • Taking a combination of ripe mango pulp, saffron, cardamom, honey and rose water is useful in avoid bodily as well as mental weakness. • Prepare a paste by grinding the roots of mango tree along with a little water and apply it on your palms and soles to get rid of fever. • Applying a teaspoon of mango tree gum mixed with a tablespoon of water on soles of your feet heals cracked feet. • To heal burns on skin, take a handful of mango leaves and burn them to ashes. Apply this ash on the affected area. • The astringent qualities of raw mangoes can be used by boiling them in water and applying their pulp on face to cure acne and pimples. • Prepare a mango face mask for soft and glowing skin by blending mango pulp (you can make use of an over ripe mango), two teaspoons of milk, 6-8 blanched almonds, and fullers earth (multani mitti). If fuller’s earth is not available, use oatmeal. Exfoliate your skin by applying this mixture for about 15 minutes. 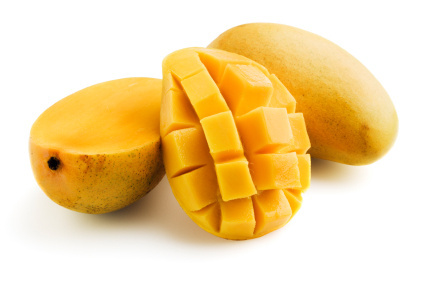 Mango is also considered as an effective meat tenderizer as it contains proteolytic enzymes that break down proteins. Mango tree gum mixed with a little lime juice can be used as a dressing for scabies. Those who are prone to poison ivy or poison oak contact dermatitis may be susceptible to mango latex allergy. Thus, certain people may develop skin irritation on coming in contact with mango peel or tree sap. Plus, individuals suffering from skin diseases and stomach ulcers should not have too many mangoes. Although mango benefits in curing a number of ailments, it can cause digestive problems when taken in excess. Therefore, it is suggested to eat a few jamuns (java plums) in case you consume a lot of mangoes. The site gave me a direction on the natural cure for an ailment i.e. Genital Herpes, through the use of mango stem bark extract. Please I want to know how to go about the treat as regards to the quantity of the extract to be taken and for how long?